Often-affecting moments of poetry are Carry the Sky’s most defining, unique characteristic. 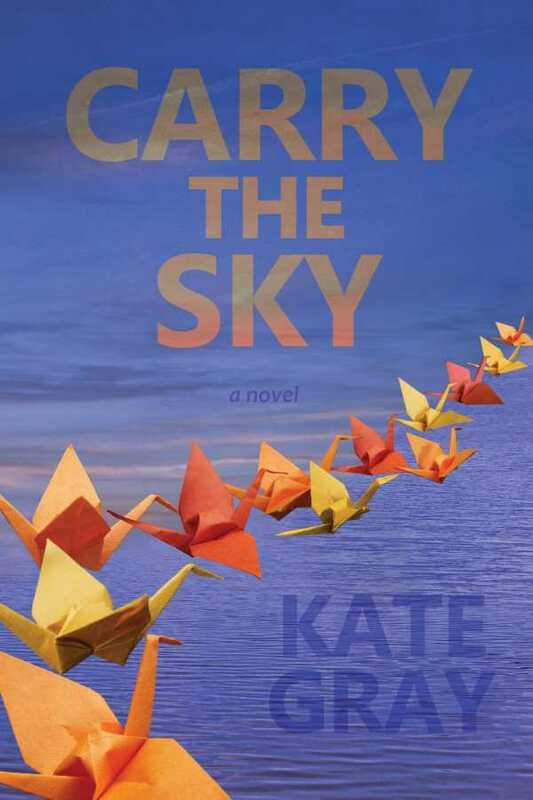 Carry the Sky, the first novel by award-winning poet Kate Gray, reads a bit like a quiet song. The refrain of repeated imagery deliberately builds meaning while the lyrical verses tell a story that slowly peels back the layers of conflicted characters. The end result, much like a good song, is strongest as a whole, with bits of beauty in between and some intimated context. Told in alternating voices, Carry the Sky captures the bone-deep pain of loss and isolation. Taylor Alta and Jack Song, two teachers at St. Timothy’s boarding school in Delaware, start off the school year of 1983 filled with turmoil. Taylor, a new teacher and coach of the girls’ rowing team, is drowning in grief, struggling with the tragic death of the woman she loved. Song, the physics teacher, and the only Asian-American teacher at the school, continues to heal from his sister’s death of three years ago while managing his conflicted feelings towards Carla, a magnetic but troubled student. Carla and both teachers connect with Kyle, a brilliant student whose oddities make him a target for bullies. When another tragedy strikes, the three outsiders must find a way to grapple with the emotional blow. Gray’s poetic sensibilities crystallize in her prose. Under her careful hand, wild curls become a mask, hope is personified in the “sunflower face” of a friend, and a lone goose in the sky evokes a blend of longing, loneliness, and loss. Often, Gray’s carefully rendered imagery and symbols purposefully repeat throughout the text, calling back to and layering on top of each other, slowly building mood and meaning. Gray develops two completely distinct narrative voices in Taylor and Song. Taylor’s sections read a bit more naturally, infused with raw and honest emotions. Although Taylor is the most authentic and developed character, Gray does work to round out the others. As their stories progress, Song and Carla reveal snippets of their past, slowly illuminating their present-day behaviors and motivations. Perhaps because the characterization is built slowly, at times the relationships between the characters seem slightly stretched, particularly Carla and Kyle’s. Considering the impact the characters have on one another, stronger foundational relationships would have added more depth. What’s really significant is that even though some of the personal connections aren’t fully explored, the characters’ emotional reactions to each other are still relatable and sympathetic. In the end, Gray’s lovely descriptions, her evocative depiction of grief and isolation, and the personal journey of her characters develop Carry the Sky into a carefully crafted, often heartbreaking but ultimately hopeful first novel by an accomplished poet.